On YouTube, in four parts, there is the tale of a man with military training and a $250 outlay spent on an illicit, leaked copy of Call of Duty: Black Ops. He got busted by the piracy police and confesses. Settle in for an hour to watch the story that begins with a Tweet, a Tweet good enough to get a gamer who calls himself Computer Healer out of bed. The Tweet, hinting at a way to play Treyarch's big Call of Duty release prior to its November launch day, led Computer Healer to a man named Ungodly who coughed up a copy of Call of Duty: Black Ops for less than a $400 asking price. Computer Healer denies ever being willing to make illegal copies of the game, saying he wouldn't have sold it for $1 million. He nevertheless recounts the tale of sketchy software pirates, repeated requests to disseminate the code and calls from the people affiliated with Black Ops who wanted the game back (we hear the first voicemail from the authorities in clip 2, at 11:40). 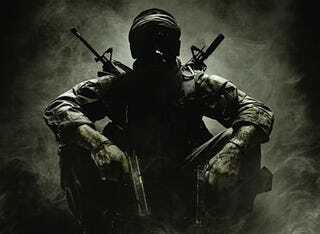 VentureBeat reports that the YouTube confession is the result of a crackdown strategy carried out by IP Cybercrime, an investigations unit hired by CoD publisher Activision. The group decided not to try to immediately prosecute pirates but instead to ask them to turn over their code. This is a kinder course than was taken by the Recording Industry Association of America, which cracked down on music pirates more aggressively in the last decade plus. Venture Beat reports that those who resist IP Cybercrime get the FBI on their trail. Computer Healer's dog can't sit still for this whole story, but you can. As a plus, Computer Healer reviews the game for us: "The best game I ever played, let me put that out there," he said in his confession. "The multiplayer was straight. The campaign was straight. The zombies were straight. I loved the game."